The fabric of our life tells a story. 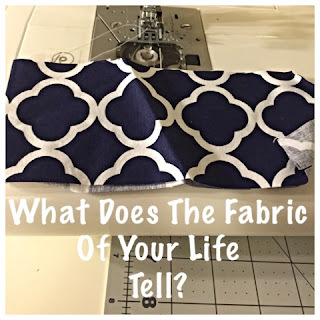 What does the fabric of your life tell? Would it be a brilliant a story of compassion, kindness, boldness, faithfulness, patient enduring, generosity, loving or would your story be composed of anger, jealousy, hurtfulness, passivity, greed, bitterness or hatred? Have you ever seen someone pick out fabric for a quilt and wondered why they choose the material they did? Or, maybe you saw a beautiful quilt sewn together, but at first, when they talked about their idea, you couldn't see how it was all going to come together until you saw every square, thread and stitch was complete, which gave you the entire story. Has that every happened to you? Do you wonder when your story is going to be complete? When will the triangles and squares finally fit into a beautiful masterpiece? I am by no means a fantastic sewer. In fact, I am a beginner and at one time I enjoyed the idea of taking fabric to make something beautiful. I had started a quilt, which is every sewer's dream, especially when you're a beginner. You can't wait to accomplish the biggest task ever in the sewing world. Even if it's a simple quilt that doesn't have fancy designs, I was set out to complete a masterpiece of fun colors, stitches, and squares. I was ecstatic the day this would be complete and finally to be able to give it to the owner as it was a gift, would day be enthralling. One day, someone put that dream to rest because of the way they handled themselves at a particular life celebrating occassion. I couldn't bring myself to look at the fabric, the quilt that was taking form or the memories I had associated with the time I had spent on this gift for this particular once in a lifetime event. Instead, every time I looked at it, I remember the ominous tone, the stinging tears I held back or the tension in the conversation that was choking. It was a great lesson in how the very fabric of who we are, is how we handle stressful situations, which is a direct reflection of our character. I boxed the half finished quilt, its pieces and considered throwing away. I still do. When you have someone who says loved, accepted, forgiven, HE defines you, not people, not incidents. While the quilt is a painful memory, I've moved on. I decided to get out my sewing machine earlier this week. I'm moving forward. My faith defines me, my God defines me, and I define me, but PEOPLE don't define me. As I took out my sewing machine, it was like an old friend that I had been missing. I think I'm going to name her too. 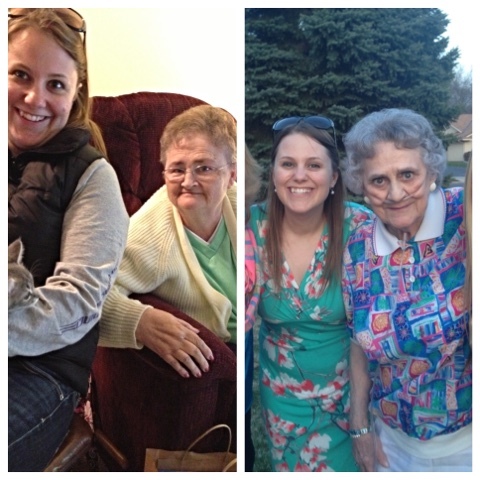 I've been missing two women in my life. One who loved to sew and the other who loved handmade towels. I took out some fabric that I bought last year to make pillow cases, I'm going to give my hand at it. In addition, I'm also going to take a stab at headbands. How hard could it be? I'm sure I'll mess up, but that is the fun of sewing projects that aren't stress provoking. You just never know what you'll get. I'm ready to take my sewing on a new adventure. As I embark on a new season of life, one that asks me to endure patiently, to accept the marbles as they are I'm thinking about how the fabric of my life tells a story. What do you want the fabric of your life to say? Would it say the runner who keeps getting up? Would it say a friend who encourages? Would it say, mother, CEO, foster care parent, hospital warrior, sleep deprived, good friend? Does the fabric of your life say, generous giver beyond your means? Are the threads of your life a story that you want to be remembered by? Thanks, Karen. Yes, sometimes with the good and the bad, you have to move forward. 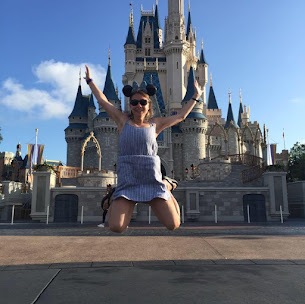 Tink Happy thoughts right?? We will see what new projects come about!